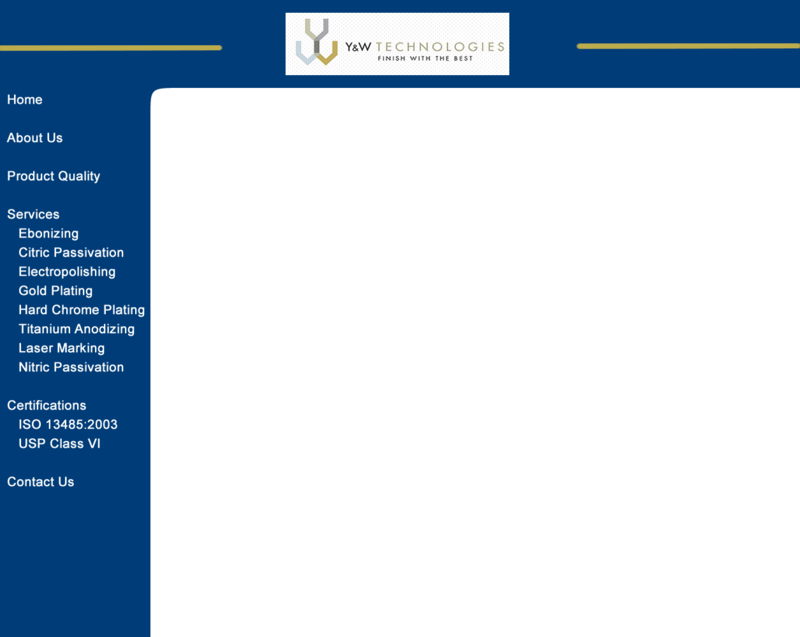 Y & W Technologies offers quality Titanium Anodizing in all the colors used by the Spinal and Orthopedic industries. Please call or email us for samples of our standard colors or send us a sample that you want matched and we will be glad to do so. Titanium is a member of the family of reactive metals, metals that change color or anodize when excited by heat or electricity in an electrolyte by creating a thin oxide layer at the surface. The oxide layer presents itself in color due to an interference phenomenon. This layer is a very thin, transparent coating that derives its 'color' when white light reflects off the base metallic surface, only to be "interfered with" within the coating. Each color is dependent on the thickness of the oxide coating and can range from deep gold to brilliant blue. 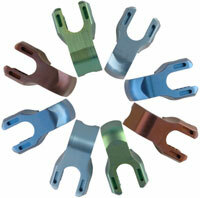 Within the medical device industry, products are color anodized primarily for cosmetic and/or identification purposes. In the Operating Room, for example, the staff might desire to have magenta, blue, gold, green and bronze colors that can help visibly differentiate various lengths of screws that possess the same diameter.